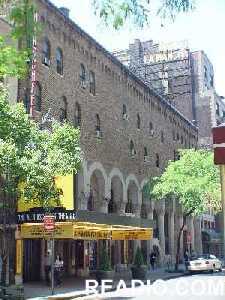 "The Al Hirschfeld Theatre is located on 302 West 45th Street between 8th and 9th Avenue New York, NY. Formerly the Martin Beck Theatre; Officially, June 21st 2003 was to be Al Hirschfeld's 100th birthday tribute with the renaming of the Theatre in his honor. He died several months prior to this tribute. This is a first in Broadway history for a visual artist to have a theatre named after him."